I read this article and found it very interesting, thought it might be something for you. The article is called Spousal maintenance – what you need to know and is located at https://www.rocketlawyer.co.uk/blog/need-know-spousal-maintenance/. Spousal maintenance is not the same as child maintenance but it can be claimed upon divorce alongside any capital and pension claims. The payment is made by either by the wife or the husband to their ex-partner and this is often paid on a monthly basis. The payment is usually made if one partner has an income that is lower than the other and it is made to help cover their daily needs. Spousal maintenance does not consist of a fixed payment and there is no definitive way of working out how much should be paid. However, how much is paid depends on the needs and whether it is affordable. The payment has to be affordable for the one party yet the needs of the other party have to be genuine. The court also has to consider the assets that belong to the party making the payment as well as the way in which they lived during the marriage. The welfare of any children is also considered during the process. With spousal maintenance in place through the use of a court order it means that both parties are committed financially. The courts have a preference to sever all financial ties which is known as a clean break but in many cases this is not a simple process. What length of time is the payment? 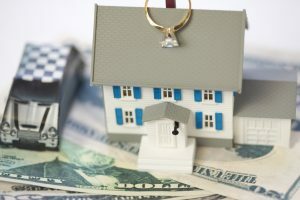 The period for which spousal maintenance is paid is known as a term order and there is a possibility that it can be paid for the rest of their lives. The main reason behind the payment is to help the person receiving the payment move closer to becoming financially independent. If the payee is unlikely to become financially independent then a joint lives order may be introduced. To help encourage a clean break, the payment can also be capitalised which means that a lump sum is paid instead of continual maintenance. Can any payment changes occur? Changes can be made to the payment and this can be achieved through applying to the court in order to have the amount adjusted. The payee could have a change in circumstances such as a new job and this means that they are more likely to be financially independent. Therefore, the payment could be reduced in order to reflect this change. However, the payer may also have a change of circumstances such as a job loss which would mean that they can no longer make the payment. Aside from this, the court has the power to end any payment agreement. Should the payee remarry then the payment of spousal maintenance will come to an end, the payment will also end at the agreed date. The payment will also stop if the payee or payer passes away or should the payee begin living with someone else. However, this is usually only successful if a court order has been provided. If you have any questions about spousal maintenance, you are always welcome to Ask a lawyer.